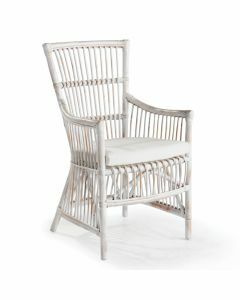 This gorgeous wicker chair features a white finish and comes with the cushion as shown in the picture. The chair measures 36’’ x 23’’ x 27’’. The arm height is 16.5’’, the seat height is 26’’. Please note this item ships via motor freight. Freight charges calculated at checkout are approximate and additional fees may apply based on location. 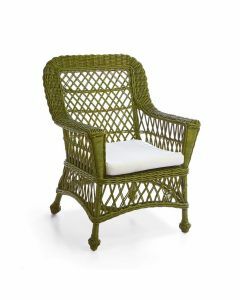 Email customerservice@wellappointedhouse.com to request a shipping quote.